Those looking for images of the history of Wales, including its medieval past, can now make use of thousands of digital images that have been made available on Wikipedia thanks to the National Library of Wales. In recent months, the National Library of Wales has been working with Wikimedia UK, a part of the charitable organization that runs Wikipedia, one of the world’s largest and most used websites. So far they have uploaded over 4000 images, including those from their medieval manuscript collections. 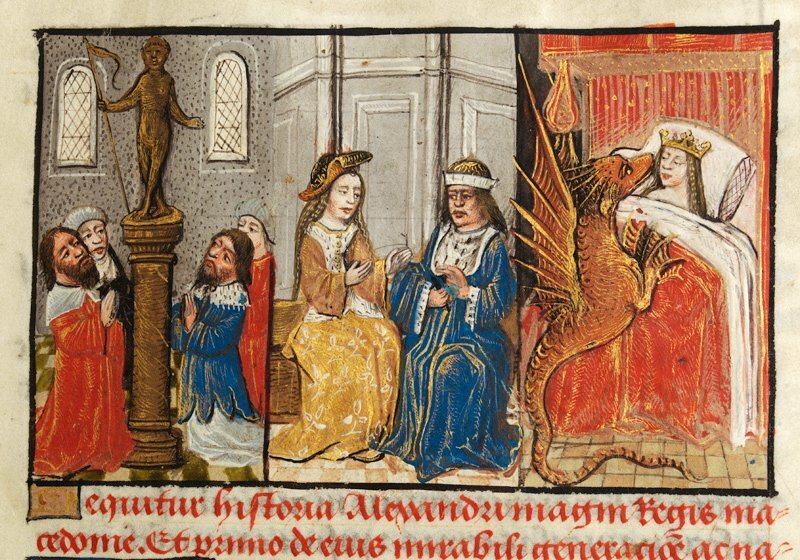 Among the medieval images available on Wikipedia (as well as on the National Library of Wales website) are those from a 15th century account of the life and deeds of Alexander the Great, the Llanbeblig Book of Hours created in the late 14th century, and a copy of the History of the Kings of Britain, one of only a handful of medieval Welsh manuscripts to have been illustrated.